I think I've found a new favorite cheese! When my mom was in town she bought some Manchego and by the time she left town there was still quite a bit left. I was pleasantly surprised to find I kind of loved the stuff and have enjoyed finding ways to use it up (you know, other than just slicing off pieces and eating them plain!). The salad I intended to make fell through when, upon closer investigation of the ingredients, I realized I was missing over half of them. Whoops! 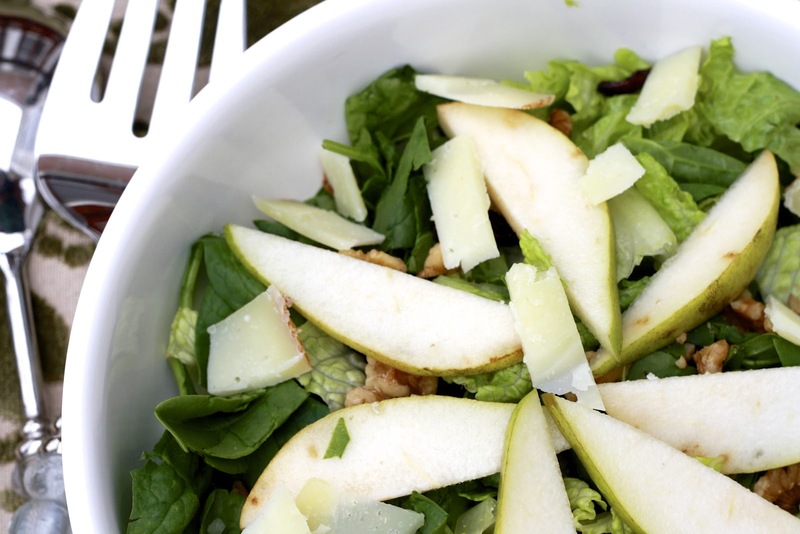 Thankfully I've made enough salads in my day to know that you can add some greens, some fruit, some nuts, and some cheese, toss it in a vinaigrette, and you're good to go. 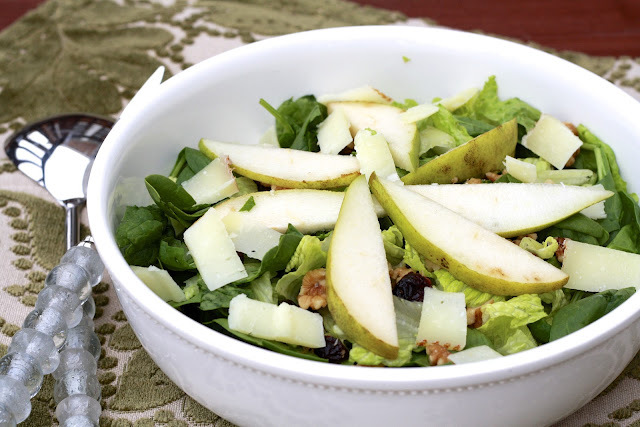 The combination here was dried cranberries, fresh pears, walnuts, and the Manchego. I whisked together a quick balsamic dressing to finish it off. In full disclosure, this salad probably feeds at least 4 individuals (as a side dish), but Ryan and I liked it so much the two of us had no trouble taking care of it in one sitting! 1. In a small bowl, whisk together olive oil, balsamic vinegar, brown sugar, and mustard until smooth. Season with salt and pepper. 2. 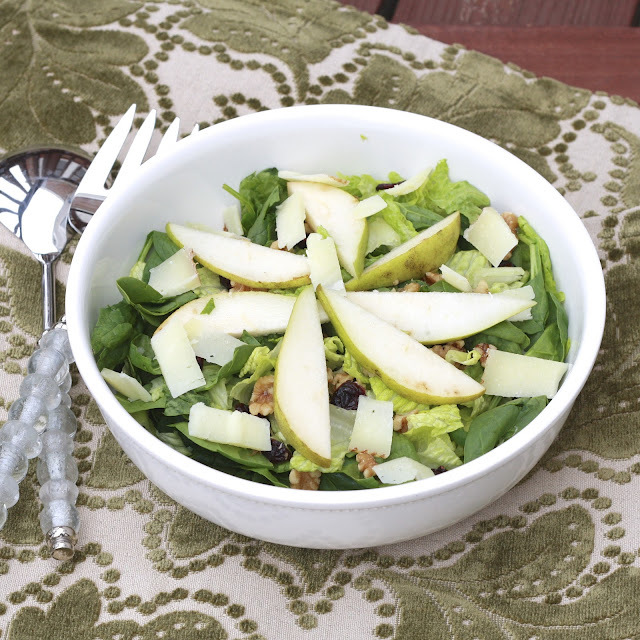 In a large bowl, toss greens with pear slices, cranberries, walnuts, and cheese. Add dressing and toss to combine. Serve immediately.